Katrina killed 1300 people. Also lost were people and places at the heart of New Orleans’ cultural economy. A Cultural Plan was agreed with stakeholders on how that cultural heart would be renewed, rebuilt, and attracted back home again…. The 1995 earthquake in Kobe killed 6,400 people and destroyed more than 100,000 buildings. To remember and learn from this savage experience the city adopted the theme “making the invisible visible” and celebrated places where the living who survived had found safety. A thousand years ago Ngai Tahu came to Canterbury, living lightly upon it, respecting the life force of land and living things, making and telling stories about this relationship in wood and in words. English colonisers of Christchurch laid out their dreams and buildings on the land assuming it would support and sustain their cultural symbols as reliably as back home in England. Regular earthquakes shook that faith for 150 years, shaking those assumptions, but not seriously till now. The wise man builds his house on rock, but the man who builds his house on sand the same way risks seeing it fall. 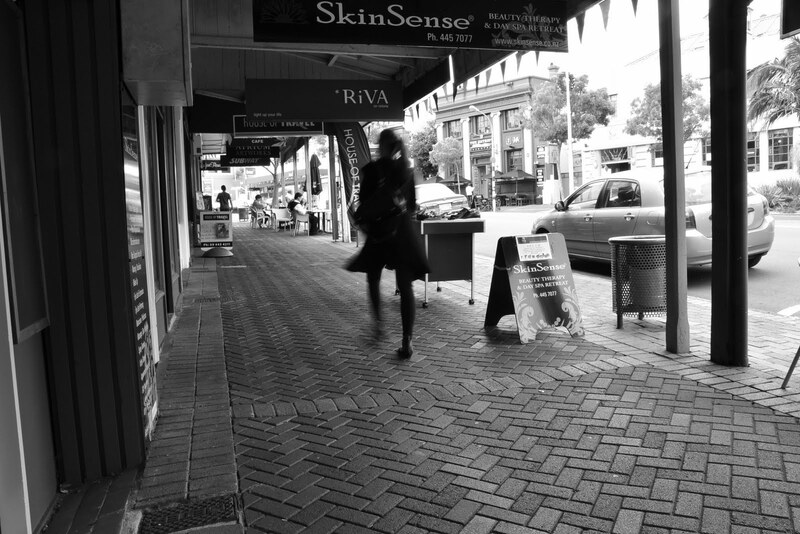 Renewing Christchurch and minimising risk requires the reality of the landscape to be recognised and embraced. Seismic realities can be ignored no longer. They need to be built into Christchurch culture. Culture is about more than writing and music and art. It includes the shared beliefs, customs, rituals and values of people and communities in a given place at a given time. Christchurch is the place and the time is now, recovering from earthquake, eyes wide open to those realities, and gaps in its cultural landscape. Experiences and feelings in poems, pictures, dances, songs and plays expressed by those touched by the earthquake can be integrated into the life and plans of Christchurch, rather than being embalmed in the hidden memories of an earthquake. These cultural expressions can be harnessed to build a new belief. 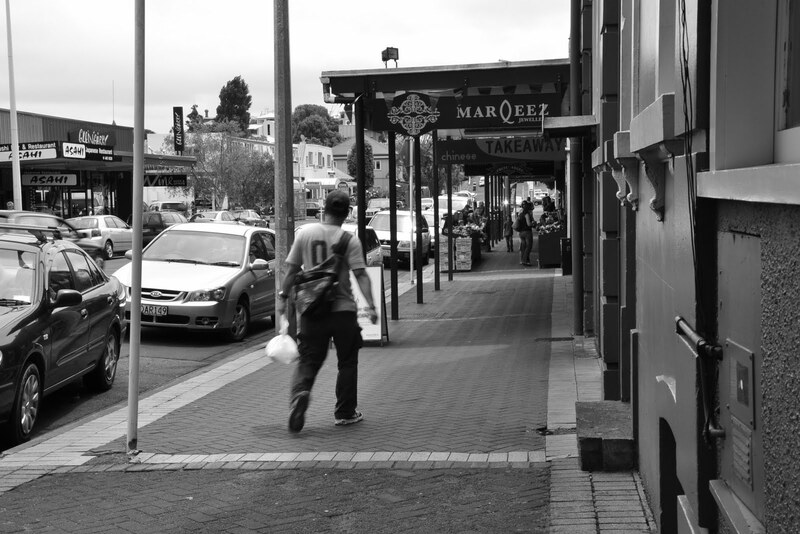 Ngai Tahu’s cultural relationships with Christchurch have also been marginalised by European culture. Now is the opportunity to find a new cultural balance. It is understandeable that the people of Christchurch yearn for certainty in this time of disruption. But low confidence in public planning will be justified and deepen if authorities persist with the status quo rather than grasping the nettle of adaptive planning needed to deliver the resilience and flexibility that will satisfy insurance industry risk assessors. Rigid symbols of stone gallery buildings and unbending oak trees need to relax into a consciously renewed and resilient culture redolent of a responsive occupation of a moving land by a diversity of people. Renewing Christchurch on sand requires a fundamental change of culture, a planned rebuild of its cultural landscape, by means of a cultural plan that can point the way while changing over time, so that development and planning and public life is constantly informed and reminded of forces that are beyond human control. The city must learn from its experience and move in step with the land and its people. Christchurch has the opportunity of cultural renewal from the inside out, as a tool of adaptive transformation, and as a beacon for travellers seeking inspiration. It needs a new belief in itself. 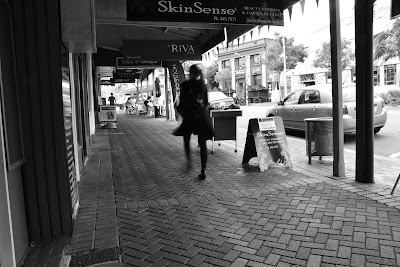 Christchurch is like every city in that it has a personality that reflects its history, diversity, “sense of place”, and the values, needs, and dreams of its residents. Many things contribute to how people experience their city and local community: traditions, neighbourhoods, weather, landscape, natural environment, schools, leadership, businesses, parks, housing, and the ebb and flow of events and activities. One thing is essential in shaping a city's personality – and that is how people see, feel, and connect with its cultural life. A community's culture is expressed in many ways - through art, music, theatre, dance, and film – but also in food, architecture, urban planning, public places and institutions, cultural traditions, media, and new ideas. Arts and cultural activities do happen on their own through the energy and dreams of creative individuals and organisations, and in times of crisis like post-earthquake in the efforts of people and organisations as they try to make sense of the new reality and get on with life in a changed and changing environment. Sometimes these activities are helped by providing spaces, funding, collaborations, and other resources. And sometimes there needs to be a much greater public engagement with cultural activity – for example when it is at the heart of any transition or change process. Planning can map out Christchurch's arts and cultural assets, needs, opportunities, resources, and priorities to help create strategies and guide actions for the community to further develop the cultural sector. But planning can and must go further than that if Christchurch wants the sort of renewal that is needed now – which is not really a “post earthquake” renewal, rather it is a “seismic reality” renewal. Christchurch has always recognised the importance of the arts and culture. Around the world, creativity is touted as an indispensable resource for civic vitality and prosperity. Studies have measured the impact of the cultural sector Christchurch in annual economic activity in terms of jobs and revenues. Christchurch rightly wants to ensure that its community remains a hotbed of innovation, creativity and entrepreneurial energy, and the Draft Christchurch Central City Plan advocates initiatives that can underpin that aspiration. But there is an unusual cultural change opportunity now, which is not being seized by Christchurch planners. 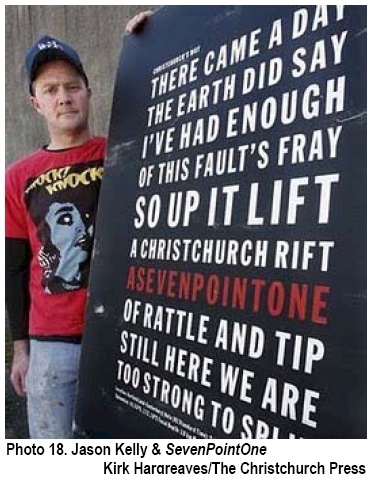 That is the need to shift Christchurch culture from one of environmental certainty, to one of seismic uncertainty. That need is not being seized primarily because of the very human hope that the earthquakes will stop. And not come back for a very long time. Creative energy has hit an unusual peak in Christchurch following the sequence of earthquakes. There is a grassroots recognition that things cannot be the same. There is evidence of cultural activity which brings the arts into urban planning and architecture. There is evidence of cultural events where science and art are coming together in new ways as people try to make sense of the unfamiliar landscape that Christchurch and Canterbury has become. Long term renewal of Christchurch requires a plan that engages with and influences the need for fundamental cultural change in Christchurch. 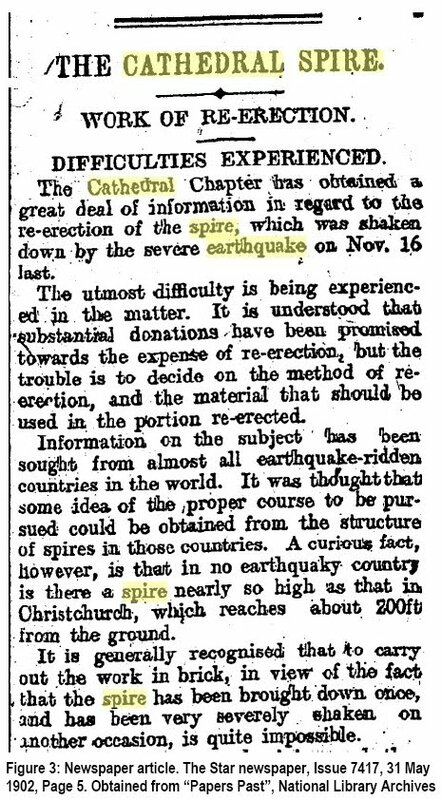 While it is not the purpose of this report to rewrite the history of Christchurch, it is important to appreciate the role of Christchurch institutions in educating and instilling the reality of earthquake risk in the past. Local institutions that might be entrusted with that responsibility could include: newspapers, the library, the museum, and the council. Schools might also provide locally specific education. Newspaper archive research indicates that the top 40 feet of the Cathedral spire were knocked down by earthquake in 1888. The above report relates to the Cheviot centered earthquake in 1901. Reports also record the spire being damaged by earthquake in 1922 and 1929. Apparently there was another significant earthquake just off the coast of Christchurch in Pegasus Bay in 1987 – though it is difficult to track down archive information about this. 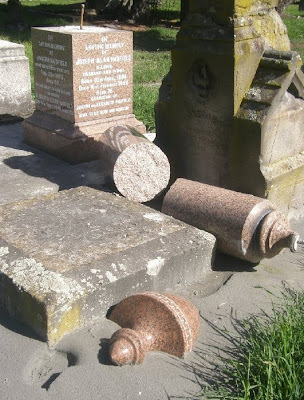 However it appears to have triggered research by the New Zealand Earthquake Commission (EQC) at the time (The Earthquake Hazard In Christchurch: a detailed evaluation, by Elder, McCahon and Yetton, 1991), which was largely corroborated by separate research conducted by the New Zealand Institute of Nuclear and Geological Science (NZINGS) which was reported in 1995 (Geology of Christchurch, Brown, R. D. Beetham, B. R. Paterson, and J. H. Weeber, Environmental and Engineering Geoscience, 1995). Based on its research the EQC report had predicted a return period for another damaging earthquake in Christchurch of 55 years. My research into the roles and responsibilities of the Christchurch City Council and the Canterbury Regional Council suggest that their actions have amounted to a conspiracy of silence regarding the risks to buildings and development posed by local seismicity. It has been suggested by many that there was a desire to protect the value of land and not threaten the city’s economic progress. Estimates of the economic cost of the recent cluster of earthquakes range up $20 billion NZ, with those costs being met by the Earthquake Commission, Central Government, Insurance Companies, Local Government and private pockets. Suffice to note, the earthquake cat is now well and truly out of the bag, which is one reaspon why insurance companies are reluctant to invest in future risk in Christchurch, until the risk is better understood, and until all concerned build and adapt to the conditions. No longer will it be acceptable or appropriate to claim the tallest cathedral when that claim amounts to Don Quixote tilting at windmills. Or the foolish man building his house upon the sand. So. Your packed container - which must weigh less than 20 tonnes - gets picked up by a truck in Hamilton, driven along SH1 to Ports of Auckland for around $700.00. Ports of Auckland puts it on a ship for about $200. Etc. The percentage of POAL costs in this particular supply chain is tiny - less than 4%. If the same container was shipped through Ports of Tauranga, which charges slightly more per container than POAL, the overall cost would not be very different. However, if Auckland's Southern Motorway gets more congested, and if reliability of delivery time becomes an issue, then POT quickly becomes more attractive. This on the strength of a 4% share of the transport supply chain, and being a transport link which could readily be provided by NorthPort or Ports of Tauranga. The blog below this one (wherefore-ports-of-auckland) was my ramble through the economics of Ports and Containerisation. This one sticks to basics, and asks questions that must be answered before Auckland Council agrees to a 20 hectare reclamation into Waitemata Harbour to accommodate Ports of Auckland growth plans. "...It was widely thought at the time of the takeover it was this land ARC was really interested in gaining control of rather than the port company itself...."
. While I am a strong supporter of public transport, I did not support scarce waterfront land - then in public ownership - being developed to maximum potential. But I digress slightly. Back to POAL expansion plans over the next few years. These growth plans are predicated on assumptions of a massive increase in container traffic (from the present 890,000 container movements/annum up to around 4,000,000) which are not supported by the literature for shipping, even without taking into account the sharp declines in air freight costs that are being experienced. My research wherefore-ports-of-auckland also notes the massive investment that would be required to land transport networks (SH1, Freight Rail, Grafton Gulley), if POAL growth plans went ahead in totality. Yet as far as I can tell, these transport improvements have low priority as far as Auckland Council is concerned. So. Why allow the Port to expand, without investing in transport connections? There seems to be only one answer. That is, to produce more waterfront CBD land for property development, and to make Ports of Auckland Ltd more valuable should a proportion of its shares be sold (to free up capital for investment in transport for example). So. POAL growth plans could be seen as an opportunity for Auckland Council to profit from property development, rather than a serious engagement with imports and exports. Only a local authority could get away with this in New Zealand. 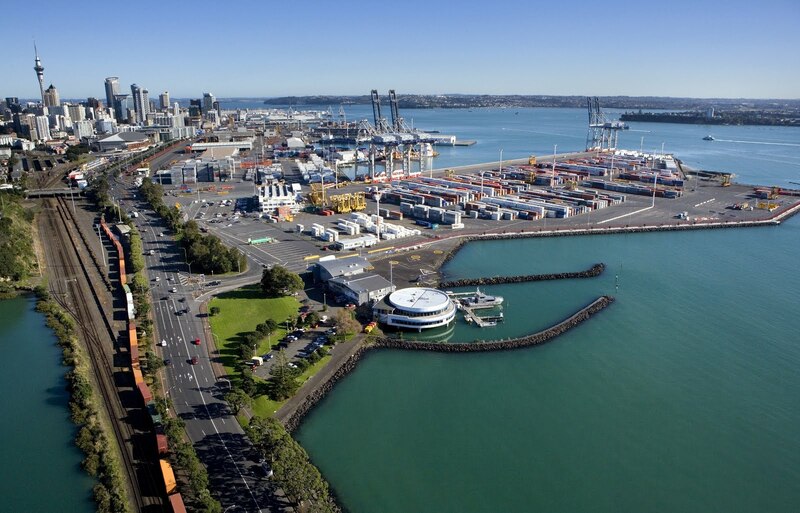 Ports of Auckland (POAL) growth plans have been built unquestioned into Auckland Council's economic development strategy for Auckland. These assume a further 20 hectare reclamation into Waitemata Harbour and a raft of supporting public infrastructure. Just what assumptions underpin these plans, and do they stack up against international best practice? NB: POAL's strategy paper states: "Shipping industry rule of thumb is shipping volume growth = 2.5 times GDP growth..."
If Auckland accepts POAL's stated rule of thumb, and Auckland Council's aspiration of 5% increase in GDP/year, then we are looking at a need to increase POAL's freight handling capacity by around 12.5%/annum. Rather more than 5%/annum. "Container terminal production is both an important and complicated element in the contemporary global economy… Standing at the crucial interface of sea and inland transportation, the significance of the container port and its production capabilities cannot be ignored. Compared with traditional port operations, containerisation has greatly improved port production performance.... To reap economies of scale and of scope, liner shipping companies and container ports are respectively willing to deploy dedicated container ships and efficient container handling systems. In so doing, port productivity has been greatly enhanced. On the other hand, many container ports no longer enjoy the freedom yielded by a monopoly over the handling of cargoes from within their hinterland. They are not only concerned with whether they can physically handle cargo but also whether they can compete for cargo. A couple of important concepts are introduced in this extract. The first is that because a lot of trade has been "containerised" - ie that everybody has agreed to adopt the same technology - there is no longer the opportunity to compete by adopting a different shipping technology. All container ports have the same equipment more or less, and do the same job. More or less. As far as a ship full of containers is concerned it doesn't matter which port it goes to. They all look the same. The second concept is "hinterland". This word is used to describe the transport networks on land that connect the port with the ultimate destination or source of goods. Hinterland refers to road and rail networks and suchlike. POAL strategic planning documents are concerned chiefly with the "whether they can physically handle cargo" dimension mentioned in the extract above. So. If GDP increases, so does the number of containers, and so therefore POAL will need more land and more cranes and more berth space to handle that increased traffic. POAL do mention that there will also be requirements to increase the capacity of road and rail infrastructure, but this is not quantified. Conclusions: Available studies of port efficiency have not provided a satisfactory answer to the problem of making efficiency comparisons across ports. With considerable success, this study applies DEA analysis to evaluate relative port efficiency. The efficiency results obtained depend on the type of DEA model employed which, in turn, depends on an assumption made about the returns to scale properties of the port production function. If a linear technology is assumed, then three of the five Australian ports examined are found to be inefficient in a 1991 sample of 5 Australian and 18 other international ports. One Australian port, Fremantle, is found to be the most inefficient port in the sample using both constant or variable returns to scale assumptions. Two Australian ports, Sydney and Brisbane were found to be efficient independent of the returns to scale assumption, indicating that port size alone is not the primary determinant of port efficiency. I have included this extract here simply to illustrate that a lot of energy does go into this sort of analysis. POAL subscribes to this approach, and much of its justification of how well it is doing, and so on, is based on its container handling performance. "...Maritime freight transport has experienced strong growth and profound change over recent decades. Freight volumes and container traffic in particular have grown with the intensification of global trade and the geographical dispersion of production. The industrial organization of the sector has evolved rapidly. These changes have rendered the ports business environment more challenging. Many agents along the supply chain have engaged in horizontal and vertical integration of activities. This has lead to more efficiency in the movement of cargo, but has reduced the number of players, with an attendant risk of abuse of market power. The market power of the ports vis-à-vis shippers and shipping companies has become correspondingly weaker. "...Containerization was a major technological innovation that revolutionized the nature of maritime-based freight transport of manufactured goods. It caused a substantial degree of standardization of port services, implying that ports cannot rely on specialization to maintain market share and generate revenues as much as they used to. With containerization, ports in the same region become closer substitutes, and hence are more exposed to competition from other ports and other routes. This tendency is reinforced by two other factors. First, the use of ever larger container vessels implies that fewer port calls are required for the same freight volume. This move to larger ships reduces shipping lines’ dependence on particular ports and intensifies competition among ports for the remaining calls (assuming each port can handle the larger vessels). Second, the emergence of intermodal rail and barge corridors has extended gateway ports’ geographical reach. The extension of hinterlands leads to more overlap among ports’ hinterlands and hence to stronger competition. This extract describes what we observe in the competition between POAL and POT (Port of Tauranga). The "hinterland" transport networks on land (roads, state highways and railways, and even "inland ports") for Auckland, Tauranga and Northport overlap. And for many goods they overlap extensively, which is why from a supply chain point of view, from exporters' point of view, it doesn't really matter whether the goods are trans-shipped by POAL, POT or NorthPort. This is a profoundly important point. "...Local communities near mega-port sites are confronted with the adverse impacts of increased port throughput. Port-generated traffic contributes to congestion on transport networks, and to safety risks, noise, and local air pollution. As incomes in these communities grow, sensitivities to these side effects grow as well. From a public policy point of view, the question is: are these side effects excessively high? The answer is yes, in the sense that congestion and air pollution are external costs, i.e. they constitute real costs for local communities (as well as for port traffic) that are often ignored in decisions regarding port and hinterland traffic volumes. Just a quick digression here into Auckland's "hinterland". Specifically rail. The POAL plan suggests "as much as 30%" of container movements could be by rail. That sounds not very much to me. We should get as many of these container movements as we can onto rail - rather than trucked by road. Let's assume 50% and consider the implications of POAL's growth plans. "...One consequence of the drivers of change in the organization of supply chains is that gateway ports have in many cases become a replaceable element of the chain, with relatively weak bargaining power. A port that provides service of a given quality at the lowest price does not necessarily gain market share, as other factors – that are not under the port’s control – also affect port choice. The focus shifts from port performance to supply chain performance. Among the other factors, hinterland transport costs have become relatively important, as the cost per kilogram per km on the hinterland is 5 to 30 times as high (depending on the hinterland transport mode) as the maritime shipping cost. Routing choices, and to some extent port choices, are strongly dependent on hinterland transport conditions, and reliability of the total route has become increasingly important to those in the supply chain making the routing decisions. ....ports aim to maximize throughput, and can do so by charging low prices for the use of infrastructure and dredging that is often publicly provided. The consequence is that shippers and supply chain operators do not face the full cost of infrastructure, let alone the full social cost of their decisions. Transport infrastructure pricing structures that do not reflect marginal costs, including externalities, in the hinterland exacerbate these problems. More cost-based pricing approaches are likely to improve the balance between overall costs and benefits of port and supply chain activity, and may result in growth rates below those observed in recent decades. Finally there is the matter of Air Freight - as opposed to Sea Freight. It is a significant policy matter if Auckland Council decides to subsidise freight out of Auckland via POAL, enabling POAL to establish a dominant trade position over Auckland International Airport, and thereby enhance revenue stream from POAL in which it has a 100% stake. You might think this is a red herring. But in fact Air Freight is carrying more and more exports and imports, as explained in a report: TRANSPORTATION COSTS AND INTERNATIONAL TRADE OVER TIME, by authority David Hummels. Economic historians have argued that technological change in ocean shipping was thecritical input to growing trade in the first era of globalization during the latter half of the 19th century. I would argue that technological change in air shipping and the declining cost of rapid transit has been a critical input into a second era of globalization during the latter half of the 20th century. Air freight is clearly growing, and more and more goods - especially high value and freshly grown goods - are travelling by air. Auckland International Aiport is well on the way to constructing a second runway. These - and the matters set out above - are among those that need to be considered by Auckland Council, before it rubber stamps POAL's growth plans. No other economic development visions are articulated. A vision based around a “step change in exports” necessarily involves an expansion in Port facilities. However there are other economic development visions which are not considered in this strategy. There are significant costs and dis-benefits associated with this single economic development vision, because of its narrow emphasis on Port expansion, which have not been articulated in the present draft economic development strategy. The following submission primarily relates to the Ports technical document entitled Waterfront Plan_Working Paper-Port (WPP). I can atest to that from my experiences as a Councillor on Auckland Regional Council (which owned POAL through its subsidiary Auckland Regional Holdings while I was a councillor from 2004 to 2010.) I received regular confidential reports outlining the negotiating strategy which was pursued by POAL and ARH, in the price war that emerged between POT and POAL in trying to gain the Maersk contract which was heavily driven by Fonterra’s desire to drive down the costs of its milk fat freight logistics supply chain. Their priority had no regard for the public cost of meeting that objective. 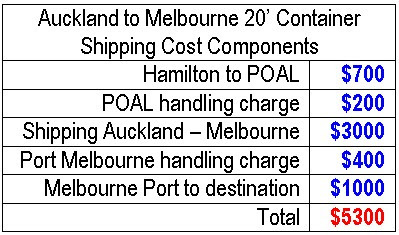 The final price that was offered by POAL to Maersk was little more than $200/container, close to cost, and significantly lower than the handling charges over the Tasman which were nearly twice that. I well remember the justification for this cut-throat price from those in support of it: “it’s all about volume…”. However, whether it’s one million containers/year, or two million containers/year, the mathematician in me is acutely aware that one million times bugger all is still bugger all. The subsidy is born by the owners of POAL, and by those who need to share the transport corridors with all of these containers - many of which are empty, and by those of us who believe the uses of the Waitemata should be very carefully balanced. The WPP notes the existence of an ARH report prepared in 2009 which calls for: “a need to rationalise our port sector expansion, adopt a coordinated approach to infrastructure planning…”. Submission 1: A partnership with central government and other New Zealand ports be established to rationalise port sector expansion and adopt a coordinated approach to port infrastructure planning. After the Rugby World Cup event there is much to celebrate in what has been achieved on Auckland’s waterfront. And there is much to support in the Waterfront Development Agency’s (WDA) first Draft Waterfront Plan. This DWP is fresh and appealing. It contains a well-presented set of goals and objectives, and a clearly described set of proposals and timelines – most of which will depend on Council agreement and Council funding. Fundamental to these submissions is an understanding of what is meant by the word “destination” and what constitutes a public waterfront that is best for Auckland. It is recognised that the WDA is not master of its own destiny – or of Auckland’s waterfront – and that the WDA is accountable to Auckland Council. However, the WDA has a leadership role in the development of Auckland’s waterfront, and Auckland requires the WDA to take that role, and to make recommendations that will deliver an Auckland waterfront which best meets the full diversity of expectations. That will include building a robust relationship with Ports of Auckland whose growth assumptions need to be challenged in Auckland’s overall best interests. The following submissions more or less follow the format of the WDA’s Draft Waterfront Plan (DWP). They begin with some consideration of the Waterfront Goals. There are detailed submissions relating to technical documents: Cruise and Port. The first DWP objective is: “a sustainable area”. However the word “growth” or “growing” is problematic in the context of sustainability. In fact the DWP’s description of what the draft goal “A growing waterfront” means, emphasises the need for a significant lift in Auckland’s and New Zealand’s productivity. Productivity is central to many Government, local government and business development initiatives throughout New Zealand now. Productivity increase can be achieved without growth. But growth can occur without any improvement in productivity. At a time of fiscal stringency, the need for sustainability, and trends that allow growth only when it demonstrates high benefit/cost returns, it is my submission that Goal 3 should read: “A productive waterfront”. I note at the outset that in the DWP “Cruise” and “Ports” activities are both positioned under Goal 2: “A working waterfront”. This is appropriate in my view. The plan should be absolutely clear that provision for “Cruise” on Queens does conflict with Goal 1: “A public waterfront”. Submission 1: Goal 3 should read: “A productive waterfront." With its emphasis on projects and proposals, and its 3 year planning horizon, the DWP does not pretend to be a Masterplan. However Auckland has been promised a Waterfront Masterplan from the re-organisation of Auckland local government. There appear to be a number of “givens” in the DWP (eg Cruise on Queens, Wynyard Quarter structure plan, Ports expansion plan). No options for these givens are included in the DWP. The risk of assuming these proposals were well planned when the DWP was prepared, is that the learnings from the Rugby World Cup will not be applied. It is submitted that all of these projects need re-assessment in the light of RWC experience. Submission 2: Ports expansion plan assumptions need to be re-visited, and scenario options developed to enable a formal planning process. The DWP emphasises the need for a “connected and accessible waterfront” (Pg 21). This goal is worthwhile but it sidesteps the more fundamental need for a waterfront urban park – though the images and idea of a Foreshore Avenue (Pg 31, central pictures) – suggest some recognition of that need. The experiences of crowd management during the RWC have brought further focus on the actual capacity of Auckland’s waterfront spaces to accommodate the population. At a reasonable density of 3 people/square metres, then Quay Street (closed to traffic), Te Whero Island, Wynyard Quarter (as it is now), Princes Wharf, Queen Elizabeth Square, Captain Cook Wharf and Queens Wharf could hold about 300,000 people (these waterfront public spaces amount to an area of about 10 hectares, and all are accessible within 1.5kms of Britomart. This excludes the Wynyard Headland Park which is 2km from Britomart). But people would all be standing at 3 people/sq metre. A crowded waterfront. Metrics for good provision of central city urban park space/head (as opposed to open space or regional park space provision) of population are available. Used as a promenade and place of enjoyment, such as is evident at Wynyard Quarter, an occupation rate of around 1 person/3 square metres is more appropriate (ie not a crowded environment), giving a casual visitor waterfront capacity of around 30,000 (this assumes that ALL of the spaces listed in the paragraph above are available as waterfront urban park space). However this provision is modest by international standards, and all of Queens Wharf makes up a quarter of that. That is why Queens Wharf is so important as a central city public space. Submission 3: Waterfront public space planning needs to include provision for urban park requirements, not just connectivity and accessibility. What happens to Auckland’s Port in the next decade or two will have a major influence on the rest of the waterfront. Anticipated effects from an expansion of Ports and import/export shipping include traffic effects (both in the water and on road and rail), view effects, and demand for berthage which could be allocated to other uses – eg cruise ships. The WDA acts for Auckland in respect to the rest of the waterfront and must have a view on what those Port expansion plan effects will be, how they should be managed, and whether they are sufficiently adverse to merit some re-consideration of Port development plans. It is submitted that the DWP fails to properly address this matter, which means that the DWP fails to address the Auckland waterfront in an integrated way. It is submitted that simply incorporating POAL development plans into the DWP is insufficient. Other options need to be investigated. The expansion proposals for Ports assume that another 20 hectares – or thereabouts – of waterfront will be reclaimed for Ports activities. This needs to be put in perspective. For example the proposed headland park will be about 3 hectares. Queens Wharf is about 2.5 hectares. The benefits to Auckland’s visitor economy of a successful public waterfront space need to be weighed against the disbenefits that will arise from a significant port expansion. Submission 4: Ports plan assumptions need to be re-visited, and regard be had for their impact on Auckland’s local and international visitor economy. It appears that Princes Wharf has been omitted from the DWP. Except for its suggested retention as the primary cruise ship terminal in the short term. No project proposals are mentioned in the DWP for Princes Wharf (Pg 10). I am advised that recent surveys by cruise ship operators of passengers who have used Pricnes Wharf facilities are positive (if councillors have not seen this information they should request it). The Cruise Ship industry can make Princes Wharf facilities work to the satisfaction of cruise ship passengers. It is submitted that Princes Wharf needs to continue as Auckland’s Primary Cruise Ship terminal for as long as reasonably possible. It is submitted that various requirements and conditions for the public use of and access to parts of Princes Wharf need to be actively enforced, so that the public vision and aspirations that accompanied the relevant resource consents for the Princes Wharf development are given effect. It is also submitted that options for re-use of the cruise ship terminal facilities - in the event they are vacated by the cruise ship industry - be explored, and that such options should include the activities and uses which were expected from the redevelopment of Princes Wharf. Submission 5: The Draft Waterfront Plan needs to provide for Princes Wharf. Proposals are required to improve Cruise Ship handling facilities in the short term, and to ensure that the public amenity conditions of Princes Wharf resource consents are given effect. Because of the anticipated volume of cruise ship visits to Auckland there is an obvious attraction in using Queens Wharf out to the medium term to support that industry. However I believe it is essential that authorities recognise that Auckland is poorly served in terms of waterfront public space/capita. This was evidenced by the crowding that occurred on Auckland’s waterfront (despite the availalability of Quay Street, QE Elizabeth Square, Queens Wharf, Captain Cook Wharf, Princes Wharf, Te Whero, and Wynyard Quarter) during RWC festivities with quite modest crowds. It is critical that any utilisation of Queens Wharf and Shed 10 is subject to stringent controls which protect public access to Queens Wharf and public amenity on Queens Wharf. Authorities must not give in to demands from cruise ship operators for “Rolls Royce” terminal provision. For example, I am advised that recent cruise ship visits using the Princes Wharf facilities have rated well with cruise ship passengers. The Cruise industry have made those facilities work well - despite their complaints and lobbying of public officials for more central city crusie ship parking. Cruise ship visits to Queens Wharf during the Rugby World Cup also worked passably well – despite not having access to Shed 10 – and little space on Queens Wharf itself. Auckland will only be in the black economically from cruise ship visits if public investment is tightly constrained. Whereas Central Auckland benefitted significantly from the 1,000,000 visitors to Queens Wharf during RWC. The majority of these were locals. Their contribution to Central Auckland’s visitor economy is often ignored by those who persist in talking up the contribution from the much smaller number of cruise ship visitors. The obvious answer to this conundrum is to provide for both sets of visitors, and both economic contributions. But this will require a much more balanced approach to the planning of Queens Wharf than has been evidenced to date. It will require the depth of planning that has been associated with Wynyard Quarter. Submission 6: A Plan Change to the Regional Plan Coastal relating to proposed uses on Queens Wharf be publicly notified to ensure the owners and operators of Queens Wharf are in compliance with the RMA. Submission 7: That the Agreement relating to Queens Wharf with Ports of Auckland Ltd be re-visited to establish conditions to constrain non-public uses of Queens Wharf and Shed 10 (by the cruise ship industry for example). These conditions: should restrict the area of Queens Wharf that can be used for non-public activities; should expressly establish a five year lease for such activties – such leases being renewable subject to Council approval – thereby sending the message that non-public uses of Queens Wharf are of a temporary basis; should contain a maximum number of days and preferably a specific set of dates when Queens Wharf facilities can be used for cruise ship visits (to ensure there are opportunities and to provide the certainty needed for planning of other activities and events on Queens Wharf). One of the most positive initiatives in the DWP is the reference to :”considered place-making”. Due to a combination of quality planning (arising from the urban design framework process and RMA plan changes), a pause in the development of sites along Jellicoe, the available of budget for public investment – a cluster of public places has been constructed along Jellicoe Street through to Silo Park. The public have loved those places: the artificial grass mound, the children’s playground, the seating, the sense of open-ness, the peace and quiet from commercial hubbub. The DWP features photographs prominently of these accidental successes. Why accidental? Because much of this amenity, these quality public places, suburban park landscapes, are the sites of future highrise development. The DWP is highly misleading because it does not accurately depict how Jellicoe Street will look when it is developed to potential. The images used in the DWP (Pg 31, central pictures) depict the sort of Urban Park landscape approach that is visible now at Qynyard Quarter – including the play area and sitting areas – but which will be lost if planned development occurs. 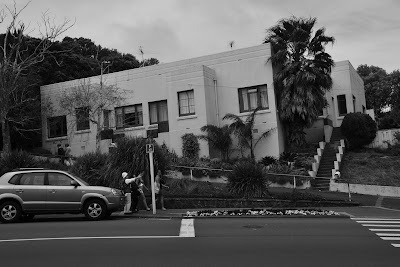 This is one end of Auckland’s “Foreshore Avenue”. It needs to be supported along Jellicoe, across the walking bridge, and into Quay Park to Queens Park. What we now see on and around Jellicoe is the sort of suburban park landscape that Auckland needs, and clearly loves already, and should be be retained. I recognise that the revenue from planned development is part of the budgetting process, so it is not just a simple matter of rezoning some of that land as urban park (though that is required). I submit that experience to date with Wynyard, including RWC experience, merits a plan change for the northern precinct of Wynyard Quarter - including the headland park. This would allow further development potential on that land, to compensate for some loss of development potential on and around Jellicoe. It would also be an opportunity for planning necessary for Te Papa North (for example), which could be integrated with a cruise ship terminal on Wynyard Wharf. Submission 8: That necessary planning be undertaken into Wynyard Quarter development options which will allow the urban park amenity now evident along Jellicoe Street (including the playground, grass mounded area, other sitting areas, paved open space areas), to be retained, by reducing proposed development intensity in the vicinity, and by reviewing development options on the tankfarm area. Prior to the redevelopment of Wynyard Quarter two major plan changes were prepared, notified, heard and adopted. 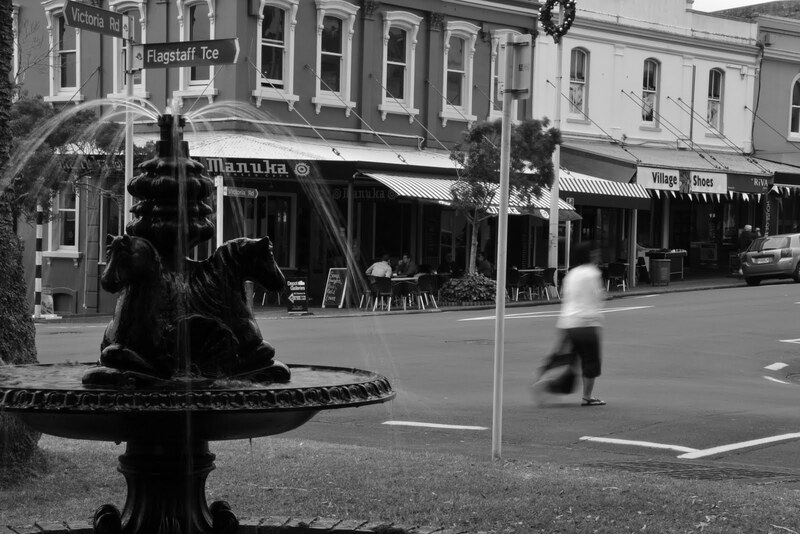 These plan changes to the Regional Plan Coastal and Auckland City Council’s Isthmus Plan allowed development options to be considered and provided for in those plans, while also ensuring that various other matters were appropriately provided for (including such matters as heritage and character buildings, public open space provision and amenity, view corridors, urban design, conflicts between public access and commercial activities, transport restrictions). I note with satisfaction the mention of the preservation of the Vos and Brijs boat yard and slipways (Pg 21). I note also the mention of the heritage yacht and waka basin on Wynyard Point. However no time frame or proposal is indicated in the DWP for any project involving Vos and Brijs infrastructure. I note that the timeframe for the commencement of the heritage yacht and waka basin is sometime between 6 and 10 years from now. I am concerned that this not a strong commitment to heritage and culture in this area. This may be in line with the stated goal of the DWP (Pg 21) which is that the waterfront is “…a place where we can express our cultural heritage and history, and celebrate our great achievements…”. As it stands the stated goal does not provide the direction and concreteness that I think is needed. In my view the waterfront needs to be a place: “…which incorporates Auckland’s cultural heritage and history, and which provides a home for the display and use of representative examples….”. I am aware that there are many heritage craft that can be brought into the heart of Wynyard Quarter now and which merit dedicated berthage in Silo Park and other sections of wharf space. The reason that space needs to be dedicated is to facilitate the provision of wharf side interpretation signage and education displays, and to allow this amenity to be permanently incorporated into the proposed heritage trail (which needs to be a specific proposal by the way). Heritage incorporation needs to be permanent – not temporary. It is to be structurally included, built in, not an add-on, to Wynyard Quarter. As it stands the DWP appears to put a very low priority (10 years before anything happens) on provision of heritage boat and waka display on water. I submit that a progressive approach to maritime heritage is necessary, (as recommended for cruise and ports). An interim measure would be to allocate berth space for these craft and for interpretation and for inclusion in the heritage trail, in the protected and enclosed waters just west of Silo Park. This would provide a home her maritime heritage now, incorporate it properly now, and buuld its presence into the heritage trail. I am generally concerned that the DWP does not have concrete proposals that give effect to the vision of: “celebrating our sea-loving pacific culture…”. The turnout of Auckland’s Samoan and Tongan population to the waterfront during the Rugby World Cup – there because Samoan and Tongan teams were in the tournament – should cause some reflection on the part of the WDA, and more specific inclusion in the Waterfront Plan. It is further submitted that the Vos and Brijs initiative needs to be accorded the status of “proposal” under the DWP, and be progressively implemented, starting as soon as possible. Old buildings need attention and planning sooner – not later. Submission 10: Wynyard Quarter proposals need to provide for a progressive approach to maritime heritage (one which starts now), including the allocation of berthing space now in the Silo Harbour enclosed area to heritage boats and the provision of land side interpretation signage there and related amenity and that this attraction be built into the heritage trail. Submission 11: An explicit proposal is required which provides places and spaces for representation and cultural displays of Maori and Pacific Island maritime activities and traditions. This proposal needs to be progressive and to start now. Submission 12: An explicit proposal is required relating to adaptive re-use of Vos and Brijs site and buildings. The DWP divides movement along and around the waterfont into 3 categories (movement diagram – Pg13): fast, medium, slow. This is supported. However it is apparent that the DWP proposal for an effective public transport service across Te Whero Bridge – or in that alignment – conflicts with the slow movement objective. To be useful and justifiable as a public transport service – a modern tram would need to carry at least 5,000 people/hour – this service could not provided at a “slow” speed. The tourist attraction Wynyard Loop idea is not a model that can be expanded to provide an effective public transport service connecting Britomart with Wynyard Quarter. It is submitted that the present direct bus service corridor is the one that will need to be followed by a tram service. 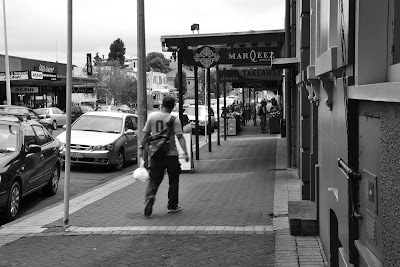 The present Marine Event Central Plaza, pedestrian bridge, Te Whero, Quay Street promenade corridor needs to be protected from motorised traffic of any sort, and be dedicated for walking, buggies, casual cycling. Submission 13: The public passenger transport link to Britomart should be along Fanshaw Street, not across Te Whero Island. We have beaten the French in this Rugby World Cup. New Zealand’s relationship with France makes for very interesting history. This is a significant opportunity for Auckland that has not been highlighted so far. Already Auckland is a showcase of French cuisine and French restaurants flourish. We saw how many French citizens came to New Zealand for the Rugby World Cup. Marsden was the site of an extraordinary piece of international political skullduggery. The French are generally appalled at what their leaders did here in New Zealand. In a sense it is Auckland’s physical place to remember its global stance on nuclear weapons testing in the Pacific, and the lengths we as a country were prepared to go to stop it. With Greenpeace. It needs a place in the DWP. Submission 14: Marsden Wharf presents a cultural and economic opportunity which needs protection and recognition in the Waterfront Plan. The Council is to be commended in planning for the Britomart Rail Loop project, and in clearly stating related implementation and funding strategies. This long term project can be a transformational for the city. However, every long term plan has short term objectives and short term projects which will inevitably come due for delivery before the Britomart Rail Loop. The Council’s plan integrity and prioritisation principles will be tested in these early projects. Again I reiterate that the proof of the pudding in this plan, will be in what is funded, and what is not funded in the early years. Early projects set the trajectory and the pattern for the future of Auckland Council. Citizens will be able to draw a line through the first initiatives and extrapolate into the future, make predictions, as to the likely future Auckland can anticipate – whatever the fine words are in the Draft Auckland Plan. With little justification, the Draft Auckland Plan (DAP) identifies Warkworth and Pukekohe as two of its 8 growth priority areas. This is more than a little concerning for those of us who have participated in the planning of Auckland Region for the past decade. These areas are outside the Metropolitan Urban Limit (MUL). Warkworth is not on a public transport corridor. 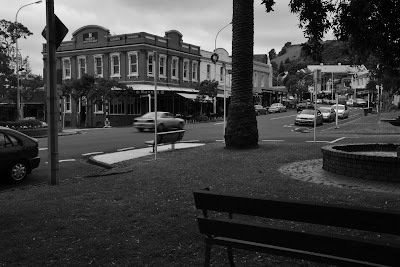 Helensville is also mentioned as a future area for similar treatment, and , like Warkworth, it is thirty kilometres or so outside the Metropolitan Urban Limit and not on a Rapid Transit quality public transport corridor. The DAP does not appear to distinguish between the type of growth or the different controls that might be appropriate for growth that would be enabled in those rural townships, compared to centres that are within the current MUL. My experience with growth in Albany, and with reaching settlement with Waitakere City Council over the way in which planning for future urban land there should be provided for, gives me cause for concern. 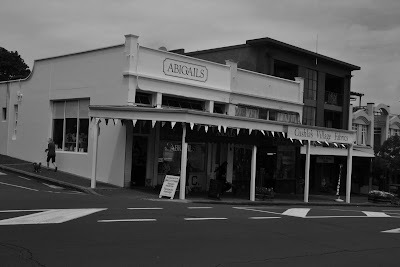 I believe Auckland Council must treat these rural development opportunities with a great deal of caution if it intends to avoid the adverse effects that arise from poorly controlled urban expansion. I note that the DAP refers to staging and triggers for development. However, so too, did the plans for Albany, Hobsonville and Westgate. However those controls have had little effect on what happened. Most developers are determined to get quick returns from these new greenfield developments. Residential development goes in first, and the new owners commute into Auckland and further south for work. Once that has happened there is little stomach for the development of local built amenity (shops, cafes, commercial activity, light industrial places of employment….). Vancouver is an interesting exemplar for this matter. It has adopted what it calls “complete communities” approach to the planning of urban expansion. “Thus it has a strategy of “complete communities” and planning and development policies which support that strategy. The objective of “complete communities” is that each community develops so that there is enough local services, employment and basic retail to satisfy the needs of new residents. They don’t have to drive to get those services as soon as they move in. Of course residents can choose to go further afield if they want to, but they don’t need to. That is the essence of that approach to planning the development of new villages. New Zealand’s track record in the field of greenfield development is littered with examples of the market failure to provide for complete community outcomes. Any reliance on RMA planning instruments for these outcomes is destined to fail – simply because the RMA is a free-market development instrument. 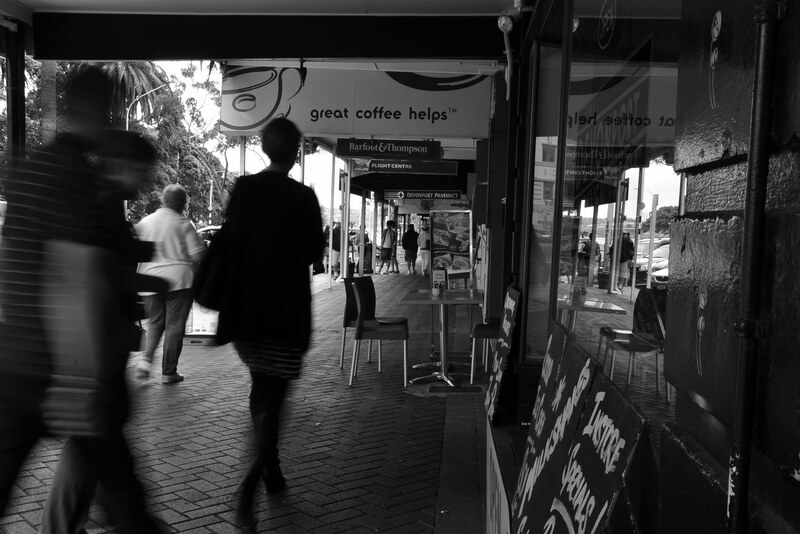 If the Auckland Council wants “complete community” outcomes – then it must plan appropriately for them. This same criticism and concern applies to land that can be, or is zoned urban within the MUL. Submission 1: Planning for place-based projects needs to include robust staging criteria and prescriptions for development that will ensure the basic housing, employment, and social service needs of new communities can be met within or close to the newly developed places. This approach to be known as: Complete Communities. Before the Harbour Bridge was built, these places needed ferry services, because there were few alternative transport options to get to Auckland CBD. That changed when the bridge was built. Public attitudes to development on beaches has changed since the days of every beach having a wharf. The public want their East Coast Bays beaches kept free from development and activities which detract from the natural environment and peace and quiet. There will always be some who would like economic development opportunities that come with wharves, but I believe these desires are in the minority. Ferry services need to justify their costs. That means that patronage needs to be at a level that justifies the costs of building wharves and landside services - including car parking. The Devonport ferry service is successful in part because about 300 car parks are within a short walk of the ferry. 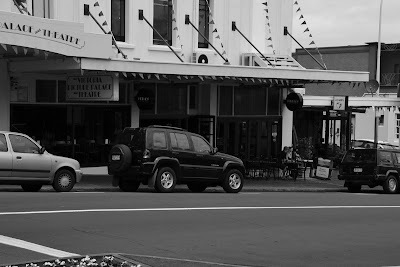 That is not the case at Takapuna where parking space is at a premium, and much of it is valued by recreational boaties. A Takapuna ferry service would not be economic, and car parking would be insufficient. Significant investment has already occurred for Takapuna public transport services, especially to the Auckland CBD. These include the Busway, Takapuna Bus Station and buslanes, and Akoranga bus station. These services provide a 20 minute service between Takapuna and Auckland at nominal cost. Ferry from Takapuna to Auckland CBD would take around 30 minutes minimum (takes 12 minutes from Devonport), and cost more than a bus trip. Takapuna Beach is exposed to North Easterly wind conditions which is one reason it is a popular surfing break on several occasions each year. This suggests that Takapuna would struggle to provide regular “all weather services”. It is not sheltered. While engineers may be able to “build anything” such structures have their own adverse effects on views and recreational water. In my view the economic case for a Takapuna/CBD ferry service has not been made. It is a nice to have, but it is not a need to have. I would also remind Council of the very significant fight that would be fought with Takapuna residents and beach users should necessary consents be sought for an infrastructure required. This is not a high priority project. Submission 2: Delete the Takapuna Ferry service proposal from the plan of works. 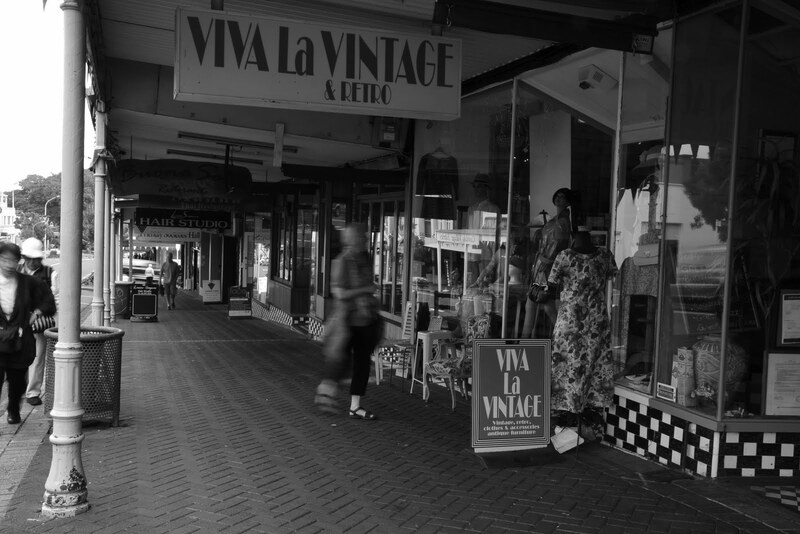 Probably the most sigificant issue that was debated during the various plan changes that accompanied the Local Government Auckland Amendment Act (2004) was over the planning for Malls. 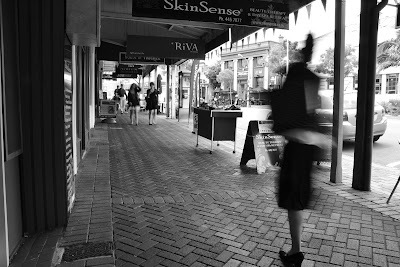 Painted by many as the harbinger of death to local shopping (as witnessed in Takapuna after the construction of its shopping mall, then at Milford after K Mart, then Glenfield’s mall experience, and big box shopping at Link Drive, which was eclipsed by Albany Mega Market…. ), malls are seen by many as the leading cause of failure of local high streets – with their mix of local shops and local social services, cafes and suchlike. Many point to the vibrant nature of high street shopping in much of downtown Wellington, and note the absence of mall developments. The question is, what is the Auckland Plan for Mall led developments in the growth areas? This is an omission which needs attention. Submission 3: Provide an urban development policy for Malls in identified growth areas which will encourage the development of an active village or town centre “main street” environment. The City Rail Link Plan map (Pg 166) shows a railway station at Parnell. As readers of this submission will be aware I am concerned that the particular location for this station that is being advocated for within Auckland Council is the location known as “Cheshire Street”. This option ranked bottom of a set of options that were canvassed by Auckland City Council, Auckland Regional Council, and Auckland Regional Transport Authority (ARTA) prior to the current re-organisation of Auckland local government. There may be some advocates who misread the last of these principles. They may interpret that principle as meaning that because Cheshire Street is an opportunity, then it must be taken advantage of. The problem with this logic is that if the Parnell Station is built at Cheshire, then it will mean that no other station will be built in the vicinity, thereby negating the significant opportunities that are known to exist at Carlaw park and at the Parnell Overbridge options. Submission 4: Properly consider all options for a railway station at Parnell, taking into account the transport development principles of the Draft Auckland Plan, and taking account of previous work by Auckland City Council, Auckland Regional Council and Auckland Regional Transport Authority, before committing to any construction work on a Parnell Railway station.